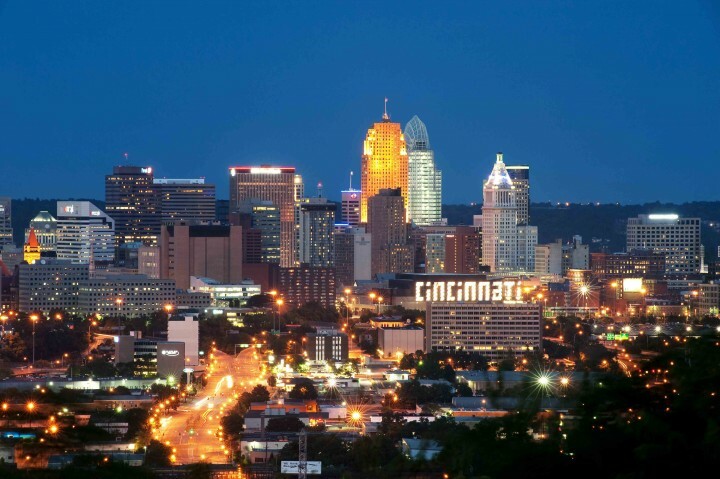 What comes to mind when you hear “Cincinnati?” If the answer is chili, then it’s time to get reacquainted with the Queen City. These days there’s much more to love about the flourishing food and drinks scene in Ohio’s third-largest city, whose vibrant downtown has experienced a renaissance in recent years. Nestled against the Ohio River, among the iconic “Seven Hills,” Cincinnati maintains a distinct connection to its early German inhabitants, as well as a devotion to its sports franchises and beloved local businesses. Long home to large employers like Procter & Gamble and Kroger, the city has leveraged its strong economic foundation in recent years to undertake a slew of new downtown building projects, small business investments, and large-scale neighborhood redevelopment and beautification efforts. 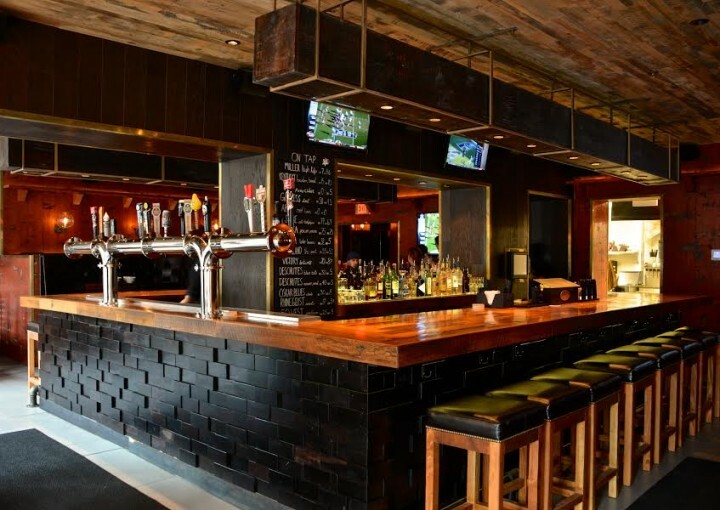 The convergence of these undertakings has brought a surge of economic energy and a buzzing urban scene, lending support to a cadre of trendy independent restaurants, bars and craft breweries, which enjoy staggering patronage. On weekends, waits often hit two hours, and the demand is spurring even more growth in the on-premise scene. Today, as any local will proudly tell you, Cincinnati boasts vitality, momentum and ambition to rival many of the country’s largest cities. Cincinnati’s downtown revival began with the 2006 renovation of the central Fountain Square District and continued with a multibillion-dollar overhaul of the riverfront belt in 2010. This project replaced aging industrial buildings and a tangle of congested highway ramps with the dramatic Riverfront Park and The Banks, six new city blocks’ worth of mixed-use development. Together they form a reimagined “front porch” to the city, with plenty of green space linking shiny new baseball and football stadiums, the National Underground Railroad Freedom Center, outdoor concert venues, restaurants and more. The redevelopment focus next shifted to the city center’s Backstage District. Here dining and nightlife destinations are flanked by the Aronoff Center for the Performing Arts, the strikingly modern Zaha Hadid-designed Contemporary Arts Center and the adjacent 21c Museum Hotel, which opened in 2012. Among the Backstage District’s best-known inhabitants is the Boca Restaurant Group. Helmed by executive chef and president David Falk, the company operates the flagship contemporary fine-dining restaurant Boca, casual Italian trattoria Sotto and lively modern Mexican spot Nada. A Cincinnati native, Falk cooked in award-winning restaurants in Chicago and Italy before returning to his hometown in 2001 and purchasing the tiny Boca restaurant in the eclectic Northside neighborhood. There, he charmed diners with a contemporary, Italian-influenced menu. Nearly 15 years later, Boca has thrived through two relocations and expansions, including its May 2013 move into the space previously occupied by five-star French fine dining restaurant Maisonette, where Falk began his career. “It’s a bit like being born and raised in New York City and then getting the opportunity to manage the Yankees,” he says. In an effort to counter the former inhabitant’s aura of exclusivity, Falk ensured that Boca’s new incarnation was approachable, while continuing the high quality and service standards and preserving key elements of the building’s bones. “We wanted to maintain the majesty of that icon for our city and create something that would be an evolution, not a revolution,” he explains. The menu nods to France with a sprinkling of updated classics, such as beef short rib tartare ($15) with crispy fingerling potatoes and artichokes. A signature seafood risotto ($31) containing lobster, scallops and mussels, laced with coral butter and topped with coral foam, affirms Boca’s modern Mediterranean roots. 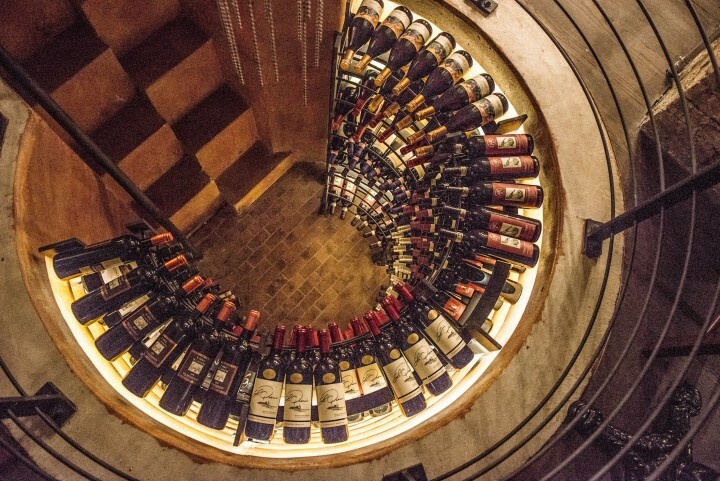 Wine accounts for 75 percent of alcohol sales, with domestic Cabernet Sauvignon and Chardonnay leading the way. Prices range from $30 to $450 a 750-ml. bottle. However, Falk notes that boutique wines and more obscure regions are gaining ground, as diners grow more adventurous. A 2010 Jean Rijckaert Chardonnay ($11 a glass; $50 a bottle) from France’s Jura region has been a recent hit. Sotto, located downstairs from Boca, was inspired by the casual trattorias that shaped Falk’s culinary outlook while working and traveling in Italy. Pasta specialties include favorites like the luxurious lumache all’Amatriciana ($16), studded with rich guanciale. On the beverage side, Sotto’s house white and red wines, produced by the Abrigo Fratelli winery in Italy’s Piedmont region, enjoy strong sales and are offered by the glass ($6), half-liter carafe ($14) and bottle ($26). Wildly popular Nada, situated next door to Boca and Sotto, was among the first locally owned restaurants to open in the Backstage District in 2008. With a menu anchored by tacos, enchiladas and modern Mexican specialties, it’s no surprise cocktails and spirits rule the roost, contributing 68 percent of alcohol sales. 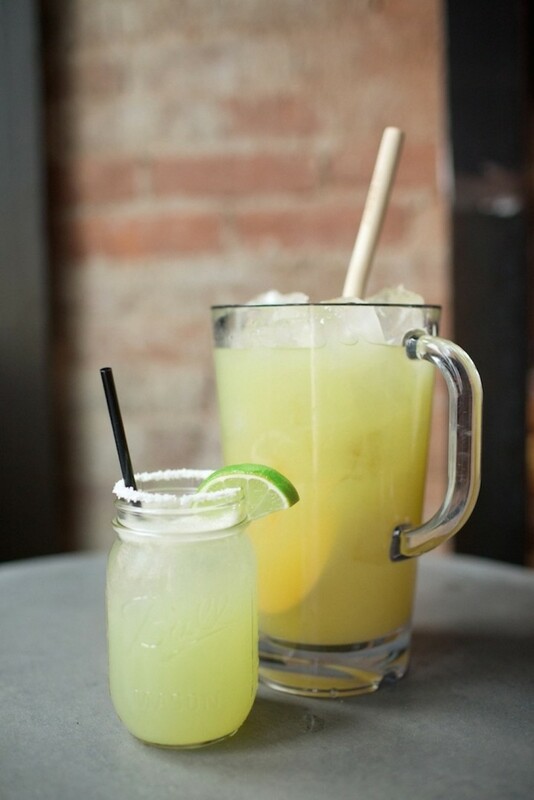 The Nadarita ($7 a glass; $28 a pitcher), made with El Jimador Blanco Tequila, triple sec, lime and honey, is the runaway best-seller. Just north of the Backstage District sits Over-the-Rhine, Cincinnati’s oldest neighborhood and the most celebrated of its recent success stories. Built by German immigrants in the early 19th century, this district of charming Italianate buildings and cultural institutions has—with the assistance of major public and private investments—shrugged off decades of economic decline to become the poster child for Cincinnati’s urban renewal. The neighborhood offers an intriguing mix of old and new: Gothic architectural treasure Music Hall overlooks the freshly overhauled Washington Park, while a few blocks away, Findlay Market tempts crowds to its historic 1853 iron-framed building each weekend with a unique mix of local farmers, butchers and specialty food vendors. On Vine Street—a main artery in Over-the-Rhine—trendy new shops, bars and restaurants crowd elbow-to-elbow. The Eagle Food and Beer Hall, opened in December 2013, highlights straightforward American food and craft beer. Sixteen brews are available on tap, including several local offerings; with cans and bottles, beer totals 100 selections ($3 to $15 a draft pour, bottle or can). The food menu centers on crispy, spicy pressure-fried Amish chicken, as well as scratch-made sides. The fried chicken is used in the restaurant’s top-selling sandwich, accented with house-made pickles ($8), while the popular macaroni and cheese ($4) features a secret, smoky mix of four cheeses. Corporate manager Lauren Altman, who also oversees operations at The Eagle’s nearby sibling taco bar Bakersfield OTR, says the rollicking response to both restaurants has been astounding. “People are so ready to spend a little money to support their local businesses,” Altman says, citing Cincinnati’s abundant local pride. “They really want to see new places succeed.” Succeed they have: In less than three years, Bakersfield has unveiled spin-offs in Columbus, Ohio; Charlotte, North Carolina; and Indianapolis. The venue sells beer, wine and cocktails like the top-selling Bakersfield Margarita ($7), made with El Jimador Blanco Tequila, triple sec, agave nectar and fresh lemon and lime juices. Hand-in-hand with Cincinnati’s downtown revival has come a proliferation of new craft breweries, reviving the city’s rich history as a beer hub. Throughout the 19th and early 20th centuries, Cincinnati boasted as many as 36 breweries, including the once-beloved brands Christian Moerlein, Hudepohl, Kauffman and Red Top. Most of these were clustered in and around Over-the-Rhine. However, Prohibition and the rise of large national breweries in the post-World War II years proved devastating, driving virtually all of Cincinnati’s breweries out of business. Today, however, the beer scene is booming. At least 10 new craft breweries have opened in the Cincinnati area since 2010, brewery taprooms have become popular gathering places, and most local bars and restaurants proudly offer a selection of local beers. The Over-the-Rhine Brewery District is even being revitalized in a resident-led effort that includes the creation of a Cincinnati Brewing Heritage Trail. In 2004, Hardman bought the Christian Moerlein brand from Snyder International Brewing Group in Frederick, Maryland, and began building a production facility in the historic former Kauffman brewery building, which boasts some of the deepest pre-Prohibition lagering cellars in the country. In 2010, pilot operations began, and by 2013, full production of Christian Moerlein had returned to Over-the-Rhine, with a 20,000-barrel capacity and the ability to expand to 250,000 barrels. The sprawling, glass-walled Moerlein Lager House joined The Banks district in 2012, boasting up to 200 beers from around the country, including Moerlein’s own top-selling Over-the-Rhine ale ($7.95 a 22-ounce draft; $9.99 a six-pack of bottles), a 6-percent alcohol-by-volume (abv) pale-amber hybrid, and Zeppelin Bavarian pale ale ($6 a 16-ounce draft; $9.99 a six-pack of bottles), a 5.2-percent abv floral pale ale brewed with German malt and hops. In 2006, soon after buying Christian Moerlein, Hardman also acquired the rights to more than 60 of Cincinnati’s other heritage beer brands, including Hudepohl, Little Kings and Bürger. These brands are housed under the subsidiary company Hudepohl-Schoenling and currently contract-brewed, but Hardman eventually plans to restore production to Cincinnati. “We rule the retro category, that’s for sure!” he says. Despite these recent revivals, the past doesn’t hold exclusive sway over Cincinnati’s beer culture. A leader in the large crop of newer craft breweries, MadTree Brewing Co. is the brainchild of partners Jeff Hunt, Kenny McNutt and Brady Duncan, who serves as head brewer under the title of “Secretary of Beer Defense.” The trio, who met and got their start as home brewers in the late 2000s, felt the city could support more high-quality local beer. They opened MadTree in January 2013 on the city’s central north side, with a 90-barrel fermentation capacity and a community-friendly taproom. They were soon forced to expand to keep up with demand. “The reaction to the beer caught me off guard,” Duncan says. “People were even more ready for it than we thought.” The brewery’s capacity has already grown to 360 barrels, with another 120 coming. MadTree was the first modern Ohio craft brewery to can its beer, a choice the partners made early on due to its quality advantages. “Everything we do goes back to the beer, and we believe pretty strongly that canning is better for the beer,” Duncan explains. Those signature cans, emblazoned with an array of colorful tree-themed illustrations by local artists, contain a range of four year-round core beers, three limited year-round brews and a variety of seasonal offerings. The brand’s flagship PsycHOPathy ($9.99 a six-pack) is a 6.9-percent abv West Coast-inspired IPA that gets balance from a subtle malty sweetness. In a northern pocket of Over-the-Rhine, Rhinegeist Brewery (“ghost of the Rhine”) moved into the one-time Christian Moerlein bottling plant, launching its 120-barrel brewery—also featuring a popular taproom—in June 2013 and growing within a year to 760 barrels. Head brewer Jim Matt, a former chemist, has focused on creating a portfolio of beers that offers something for just about everyone. “We aim to appeal to the craft beer junkie who wants a great IPA as much as the gateway people who are just getting into craft beer,” Matt says. Accordingly, Rhinegeist’s four core offerings include the ultra-hoppy 7.2-percent abv Truth IPA ($9.99 a six-pack), as well as the malty 3.8-percent abv Uncle, a British mild ale. Ten rotating seasonal beers round out the portfolio. Rhinegeist has opted to self-distribute its beer to retail and on-premise accounts, an arrangement that is legal under Ohio law for breweries producing up to 31 million gallons per year. The brewery expects to continue self-distributing for the foreseeable future, appreciating the greater control it allows over quality. “It’s one less unknown for our beer between our building and the customer,” Matt says. 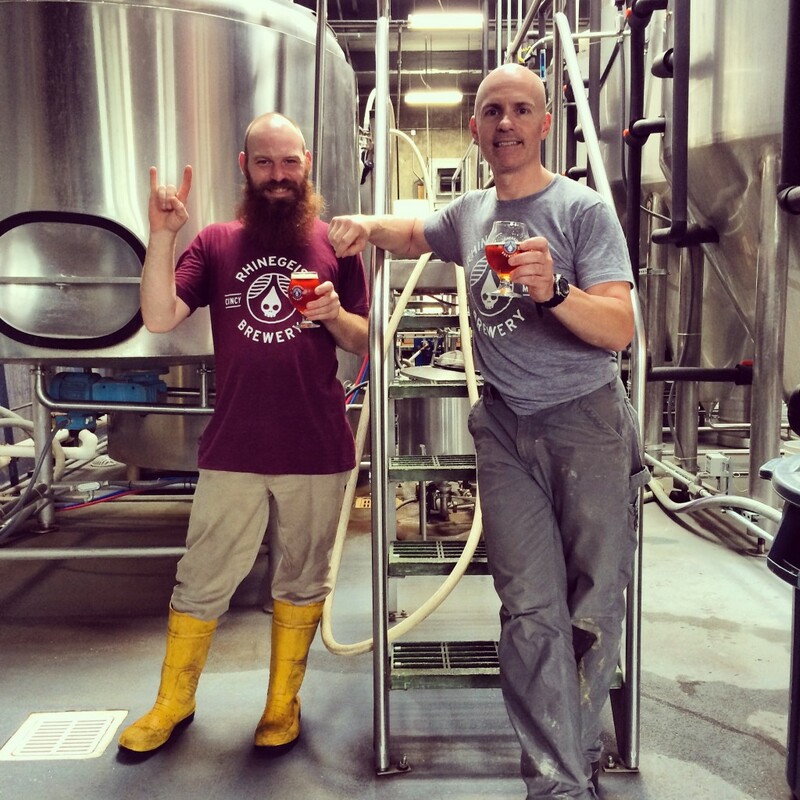 Rhinegeist brewer Luke Cole and head brewer Jim Matt grew the brewery’s capacity to 760 barrels within a year of launching. With the strong focus on craft beer in the local market, it’s no surprise that the segment accounts for the biggest recent sales trend on the off-premise side. At The Party Source, an independent wine, beer and spirits superstore just over the border in Bellevue, Kentucky, president and CEO Jon Stiles reports significant craft beer sales at his store, which draws huge numbers of Cincinnatians due the state’s more relaxed liquor laws. According to Stiles, the craft beer category has seen a 30-percent increase in sales over the previous year, with equal rates of growth observed in the preceding two years. “They’re definitely taking business from the larger brands, and it’s being done at a younger consumer level,” he notes. Top performers in the craft category include MadTree’s PsycHOPathy IPA ($9.99 a six-pack) and Lagunitas Brewing Co.’s Lil Sumpin’ Sumpin’ ale ($9.79). Stiles notes that wine is consistently The Party Source’s flattest category. Top-sellers include Kendall-Jackson Chardonnay ($11.99 a 750-ml. bottle) and Apothic Red ($9.99). Eager to be part of the booming craft community, The Party Source recently unveiled Ei8ht Ball Brewing, which has a 42-tap tasting room that offers nine of its own beers, plus other domestic craft selections ($5 to $9 a draft pour on average). And this past May, New Riff Distilling opened its doors on the store’s ever-expanding campus. The small Bourbon- and rye whiskey-focused distillery is currently aging its first batch of spirits for release in 2018. Meanwhile, it’s bottling and selling OKI Straight Bourbon whiskey ($44.99), distilled in Lawrenceburg, Indiana (the name stands for “Ohio, Kentucky, Indiana”). Both Ei8ht Ball and New Riff are operated by The Party Source’s former owner, Ken Lewis, who sold the store to his employees in April to focus on the new ventures. As Cincinnati looks to build on its recent momentum, development is radiating outward from downtown and new projects abound. The most ambitious is an electric streetcar line that will eventually link the riverfront with the new Horseshoe Casino, the central business district and Over-the-Rhine. While the high cost has been controversial, many business owners see it is as an investment in future growth. “Laying hard tracks gives a sense of security for developers to build projects along the line,” says Hardman, whose brewery is located close to the route.